Everything you need to add volume and length to your hair is at your fingertips with our set of 24 inch, clip-in Remy hair extensions. 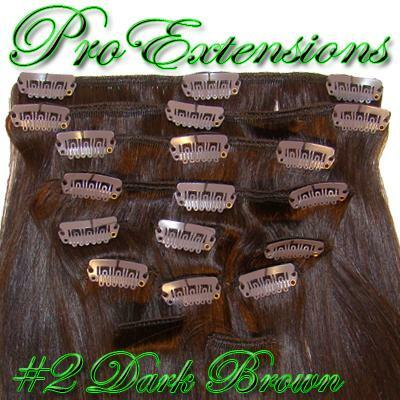 Our set of clip-on hair extensions comes pre-packaged with individual weft pieces that allow for quick and easy placement. Because the Remy hair extensions are so versatile, customizing a look specific for your hair is incredibly simple. Graded A+ quality, our Pro Premier Remy sets offer you the ultimate opportunity to enhance your appearance in a matter of minutes. 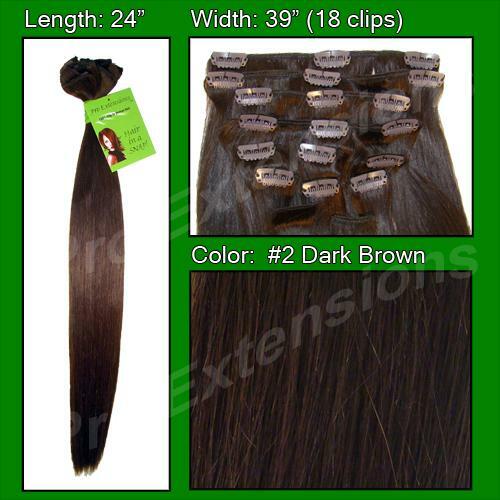 Each Remy set is double drawn at the weft to ensure each hair is the same length. These 24” inch clip-in extensions are the longest length we have available and make it possible to create a variety of fun hairstyles you were never able to do before. Whether you want an elegant up do’ or a cascade of curls for a girl’s night out, this set gives you the freedom and versatility to get the long locks you crave. 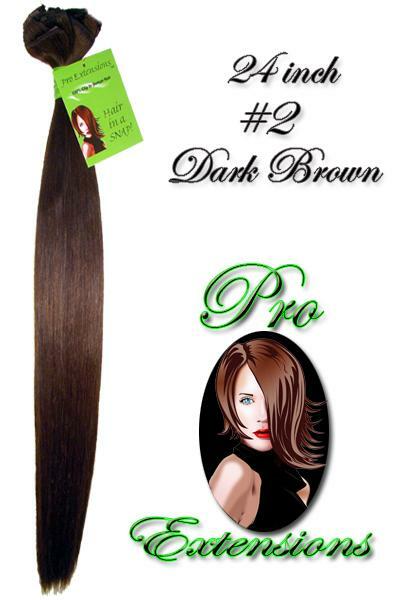 Each set contains 115 grams of real human hair that is soft and luxurious to the touch. All hair strands in a Remy set follow the same direction and are the same length to ensure a high quality set free of tangling. 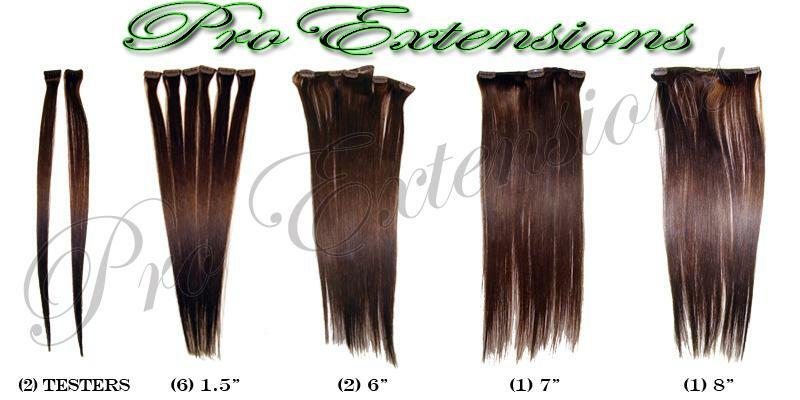 Because each set of extensions is made from human hair, you can style and dye them as you would your natural hair. With a polymer-coated finish, the clips stay securely in place without damaging your natural hair.